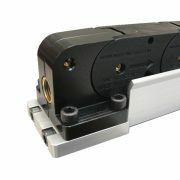 Pivoting Adjustable Extension Arms pivot upward to allow easy wire changeover with drums or reels. 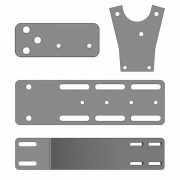 Two adjustable arms are available – a short arm that extends 10″ (254 mm) to 18″ (457 mm), and the long arm extends 20″ (508 mm) to 36″ (914 mm). 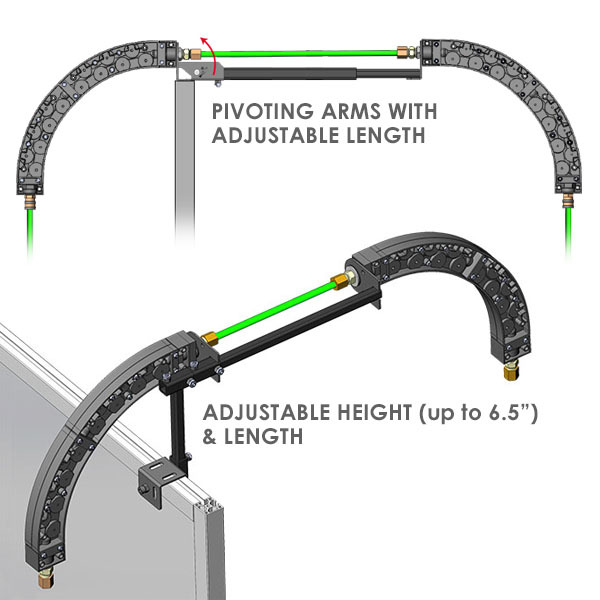 The Adjustable Height Extension Arm extends 2″ (51 mm) to 13″ (330 mm), with an adjustable height up to 6.5″ (165 mm).